In my wellness journey, I like to share recipes that work for my family in the hopes you'll give it a go, too. Remember, we all start somewhere. In April of last year, I wrote an article sharing recipes using baking soda that I gathered from other DIY pages and sites and tried them out for myself. 1) Initially, I wanted to make a laundry detergent made from grated Fels-Naptha Soap, Super Washing Soda, and Borax for a powdered detergent because I heard it was easy and affordable! 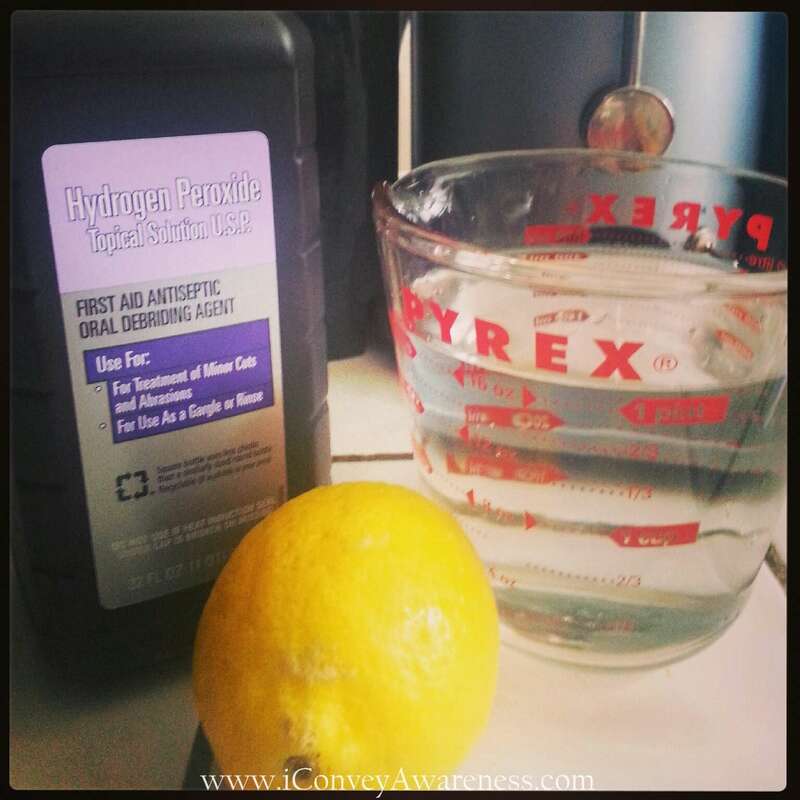 I'm newer to DIY recipes and I have yet to convert all of our household cleaning products to DIY or truly natural. Like eating clean, I'm taking baby steps in this department. Results: Come to find out Fels-Naptha is sourced from crude oil and is therefore a petroleum product. It is also loaded with artificial fragrance. See more here. No wonder I couldn't stand the scent when I purchased it (this was without knowing the background). See, label reading goes way beyond our food as I'm learning this slowly over time. I guess it was my gut instinct telling me that this soap and recipe wasn't a good one (scent was way too strong!). I didn't end up using it - I tossed it stored in the recycled glass jar. I did however find a liquid detergent from Wholesome Mommy and have used this on occasion. Maybe I should just go back to Eco-Nuts. You see I'm back and forth in the laundry department but that's part of our journey - right? We've gotta be open to suggestions, resources, and errors so that we can learn more about our wellness and our planet. 2) Bleach Alternative made from filtered water, lemon juice, and 3% hydrogen peroxide. Recipe: 6 cups of filtered water, 1/8 cup of lemon juice, and 1/2 cup of hydrogen peroxide. Mix and store in an airtight container. 3). Fabric Softener. Fill up a mason jar with white distilled vinegar and add several drops of your favorite essential oil. Add this to your fabric softener compartment or during the rinse cycle. 5). Dryer Balls: You can make them yourself or order them from a small business. 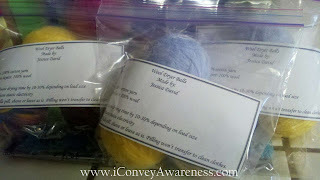 I made mine using 100% wool yarn and essential oils. I gave them as Christmas gifts the year before last.